MAFAC has Constructed a WATER CATCHMENT and brought steady sustainable clean natural water supply for 2500 ailing inhabitants in Victoria, South West Cameroon. 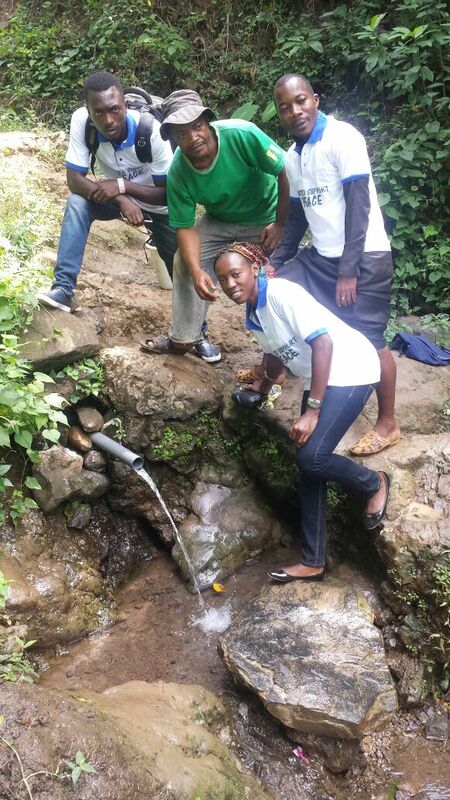 Before the arrival of the Makongo Family Charity, Mafac, the population had been drinking underground water through a pipe. (See picture). 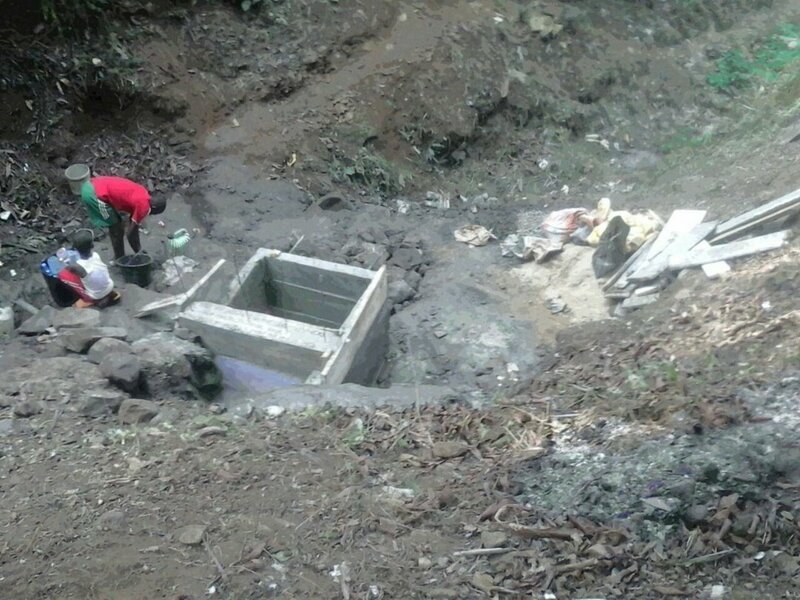 After feasibility studies and consultation with population, MAFAC undertook to help the needy community put up a water catchment. Pa P.N. an elder in the community praised Mafac’s effort and said that the community seemed to have been abandoned by the local council. He heaped praises on the USP volunteers who took three days to put up the edifice. The local population are brazing up to soon officially receive the structure, though they already started drinking clean water. 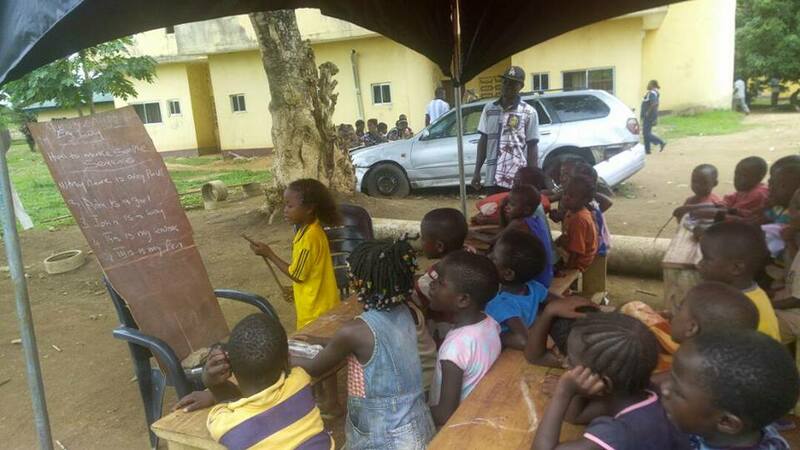 Hundreds of needy people in Southern Cameroons are heaving a sigh of relief with assistance that reached them from the Makongo Family Charity, MAFAC since May 21, 2018. Seventy-five bunches of plantains, seventy-five litres of palm oil, cartons of vegetable oil, maggi and some cash, were donated to some 30 needy families in Fako and neigbouring Divisions in the South West Region. 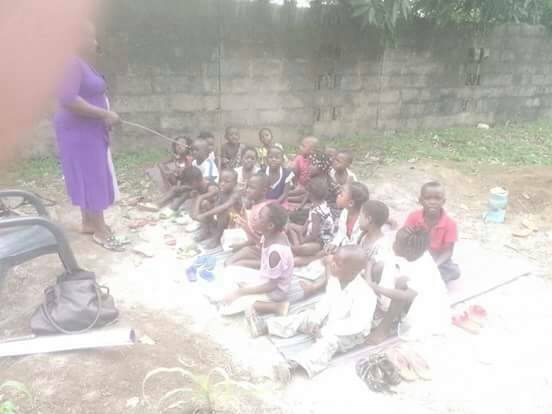 The families are among the Internally Displaced Persons (IDP)s in the ongoing Southern Cameroons struggle and are made up of aged persons, women and children. They are mostly from Ekona, Muea, Muyuka and other communities. The food items and the cash are worth more than 1000 US dollars. 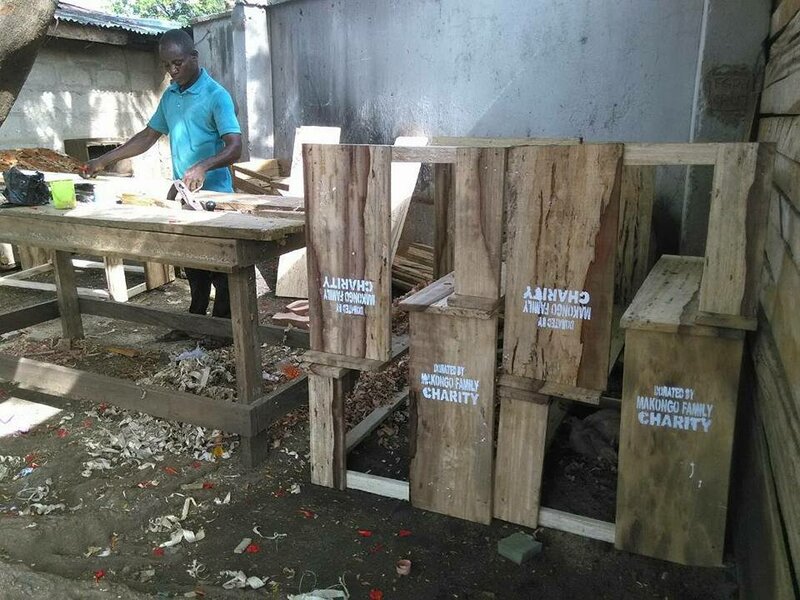 The bunches of plantains which were donated are entirely from the Makongo Family Charity, MAFAC’s almost, two hectares of plantain plantation cultivated by the Bonavada University Graduates (BUGA) Association. 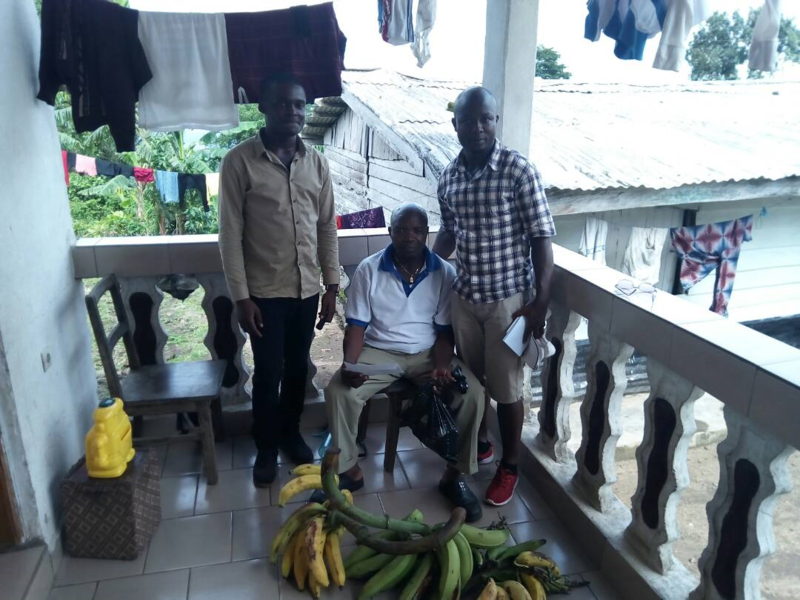 It was their first ever harvest Bonavada is a community in Buea, Fako Division. MAFAC opened the plantain plantation to keep busy university graduates in the community who were idling and were ready to begin farming to earn a living. The beneficiaries in the different communities that were visited by the BUVA youths who also volunteer with United Support for Peace expressed appreciation. MAFAC also intends to extend its work to the entire Southern Cameroons and reach out to more needy people. Makongo Family Charity Pays 500.000frs Cfa for Double Surgery on Shot Compatriot. Cletus N. is rapidly responding to treatment in the Limbe Regional Hospital, South West of Cameroon after undergoing a double surgery to repair a chartered and seriously infected leg. 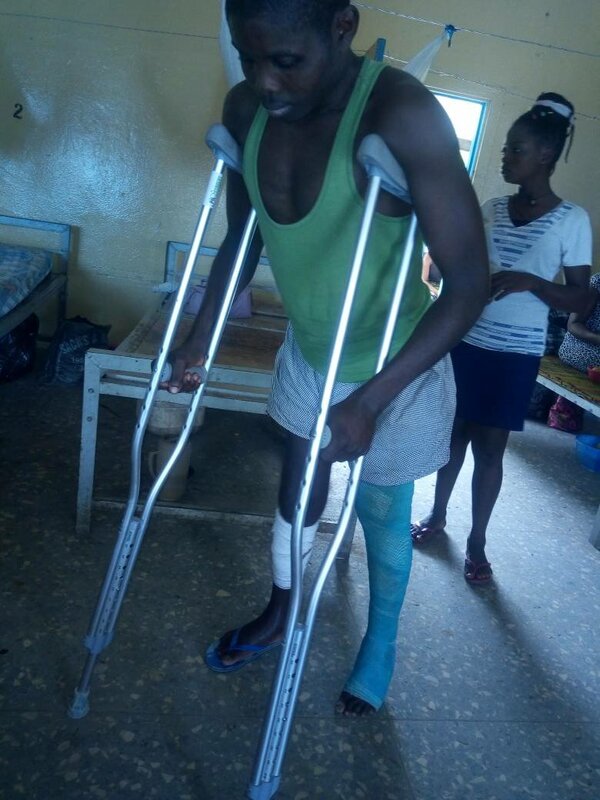 Cletus N. was in March 2018 shot on both legs by Cameroon’s military, in the Mbonge locality as he took a walk near his family residence. He was then still arrested and with all the wounds he sustained and ferried to Buea where he was detained at the Central prison. It was not an easy task to allow the victim to be ferried to hospital, until the intervention of Makongo Family Charity, MAFAC. “After confirming with the doctor on his operation, we were asked to finance prison attendants who were to guard him in hospital. We accepted although later on, the prison attendants were scared of their security and asked that we obtain an undertaking from the Procurer General to move Cletus to hospital. “After the doctor had given the bill and Cletus was in serious pains there was no family member to be contacted as they had all ran into the bushes. We had no option but to contact the Makongo Family Charity for help. MAFAC did not only assist us obtained the undertaking but also paid the bills for the double leg surgery to the tune of 500.000 Frs CFA (Five hundred thousand Frs). The money also provided our relatives with clothing and other items that were urgently in need. We can only express our gratitude to Dr Makongo,” the family member recounted. Cletus will be discharged today. The health situation of Cletus is clearly been followed up by Mafac’s execution partner, United Support for Peace NGO. Medics have given assurances that with a successful surgery, fears of amputating Cletus’ legs were over. He is expected to return have returned to jail on May 16 2018 from where he is expected to complete his treatment. 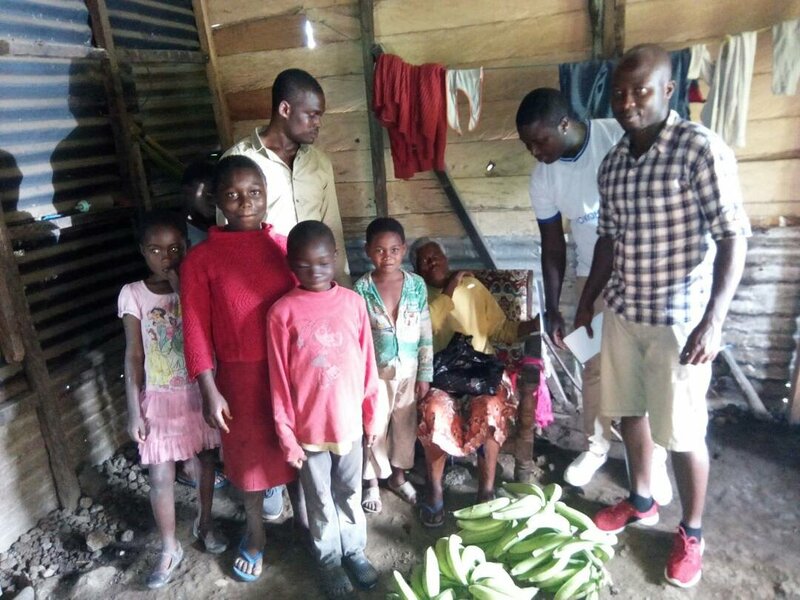 The Makongo Family Charity, MAFAC, has come to the assistance of a Southern Cameroonian refugee in Nigeria. The gentleman, Ernest Utual was shot on both legs by the Cameroon military on October 1, 2017 in Akwaya, Manyu Division, South West of Cameroon, as he watched demonstrations by pro-independence activists on that day. Rushed to Amana and then to Sankwala Hospital in Nigeria, he was later moved to another community where he faced serious challenges of footing his medical bills for blood transfusion, lack of other calcium supplements and food. 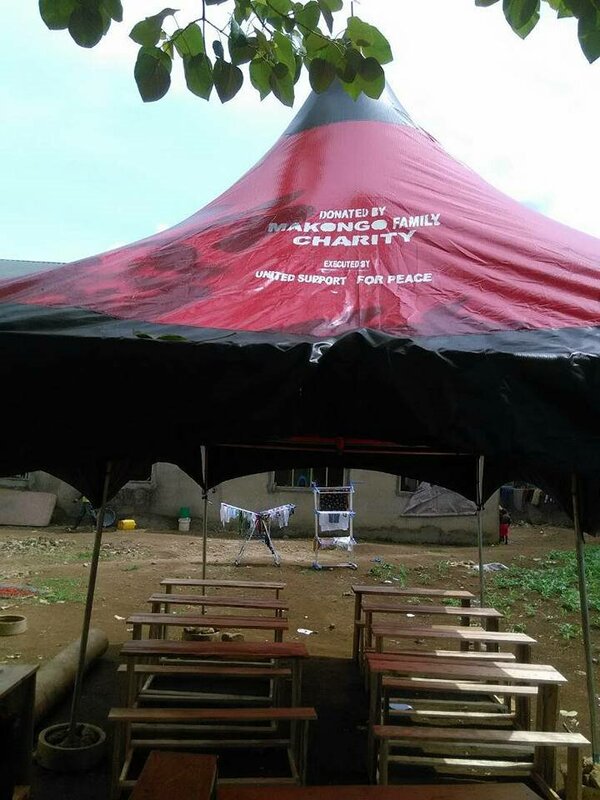 Following reports from United Support for Peace (USP, NGO) Volunteers in Nigeria, the Makongo Family Charity came to Ernest Utual ‘s rescue, May 10 2018. An emergency fund was made available which was used to pay part of his medical bills and provide Ernest and his family with rice, oil and another foodstuff. (see pictures). Ernest and his family have expressed gratitude to MAFAC, with the hope that his other pending bills would be footed by other benevolent Southern Cameroonians while still waiting for the UNHCR to wade in. Ernest was able to rise from bed when the MAFAC relief came in. The Makongo Family Charity has waged a very aggressive assistance campaign for all Southern Cameroonian victims of human rights abuses and the community is responding with overwhelming gratitude to the Makongo Family.